Do all of your patients perform the exercise programs you carefully constructed for them? As much as we would love our patient's to do their exercises as regularly as brushing their teeth, it's also likely that some of your patients won't perform their exercises. Why do patients tell us they "forgot to do their exercises" or they "didn't have a chance this week"? Is it lack of motivation, or does it have something to do with what you say in your treatment session? How can you increase the number of patients that actually perform the exercises they need? How can you help your patients get back on track when they let their exercises slip? 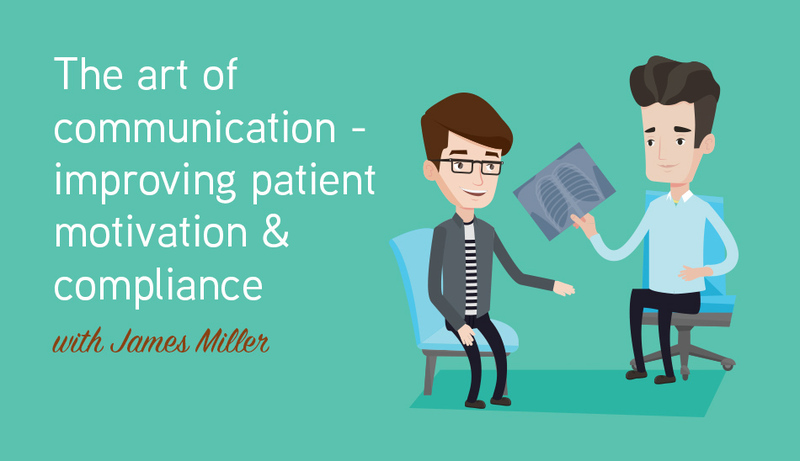 In this Clinical Edge member podcast series "The Art of Communication" with APA Titled Musculoskeletal and Sports Physiotherapist James Miller, you will discover how to persuade, motivate, and ultimately increase compliance in your patients. You will explore the latest research around communication, and develop communication skills, strategies and tactics you can employ with your patients. You will discover effective methods of helping patients change their behaviour, start or restart their exercises, and how to deal with difficult patients. Develop your communication skills now so your patients become ready, willing, and able to work with you, likely to adhere to treatment and get great results.